In order to maintain brand recognition it is important that all aspects of your marketing materials are consistent. If you already have a logo and brand identity you will want to maintain this consistency across the rest of your marketing materials. Email marketing is an important part of your online marketing efforts. Whether you are sending an informational newsletter or promotional emails you want your customers to be drawn to your product or service in order to increase revenues. Stylish, informational emails will have the most impact on your customers. For do-it-yourself marketers, this task may seem daunting, but you can do it! 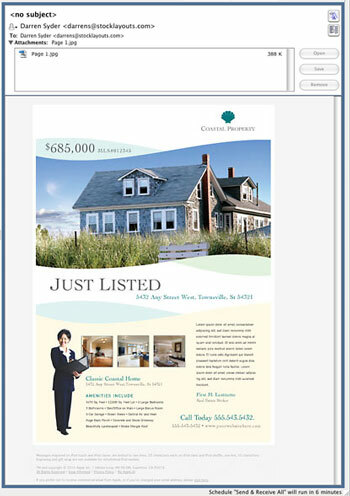 Use the tips below to create HTML emails from your existing marketing materials. If you do not have a brand identity yet, visit StockLayouts.com. 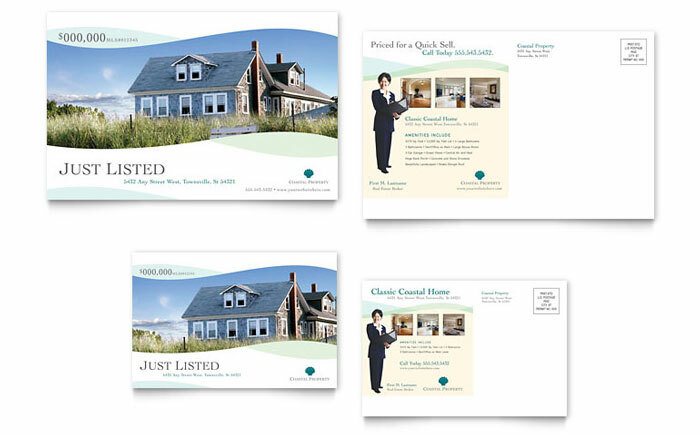 The artwork and photographs in print design templates are easy to manipulate into matching email designs. See how the postcard design below was transformed into an email design. Experienced, large volume, email senders will know HTML and likely already be certified by services such as Sender Score or ReturnPath. Those less experienced may want to consider an online email marketing service, which is addressed in the following paragraph. If you choose to create your own email, you have the option to write your code from scratch or download a pre-designed template. If you are not familiar with HTML, but would like to learn, coding in HTML is not difficult. You can find excellent HTML tutorials from w3schools.com and many other sources online. You can also send your email directly in Outlook or other email programs. However this is not recommended for lists larger than 100. Your email is likely to end up in the spam folder of all your recipients. The best option for first-timers, those with no HTML knowledge, and those without the budget to pay for a distribution service, is to use a service such as Constant Contact or MailChimp. Online email editors easily allow you to create professional looking emails. Insert your own photos, logo, text, and personalized fields to target your audience. They provide WYSIWYG editors and will ensure your mail is delivered and not flagged as spam. Read reviews about the most popular email marketing services to decide which one is right for you. Use graphics from your existing materials to create and send your email online with little fuss.